AMES, Iowa — Valuable advice for Iowa’s gardeners and information about attracting bees will be presented this summer at Iowa State University Demonstration Garden Field Days around the state. Over the past two years, as part of the Growing Together project funded by the U.S. Department of Agriculture SNAP-Education program, Iowa Master Gardeners have donated 20,824 pounds of produce to nearby food pantries, more than 62,000 servings of fruits and vegetables. Haynes said another part of the demonstration gardens are planted in flowers for bees, including Tithonia, part of the sunflower family, and borage. Iowa State entomologists will participate in the field days to share information about planting nectar plants and host plants for bees and other pollinators. *Indicates livestock farm, see visitor policy below. Directions and contact information for each of the farms can be found at http://farms.ag.iastate.edu/farms. Livestock Farm Visitor Policy Visitors are asked to follow these policies when attending a field day at a farm with livestock, marked with an asterisk. There is a five-day waiting period prior to visiting Iowa State farms with livestock if you have recently traveled outside the United States. If you have visited another livestock farm, you are asked to change clothing and footwear. Visitors are not allowed to bring food to the research farms. If you have any questions, please call the Research and Demonstration Farms office at 515-294-5045. 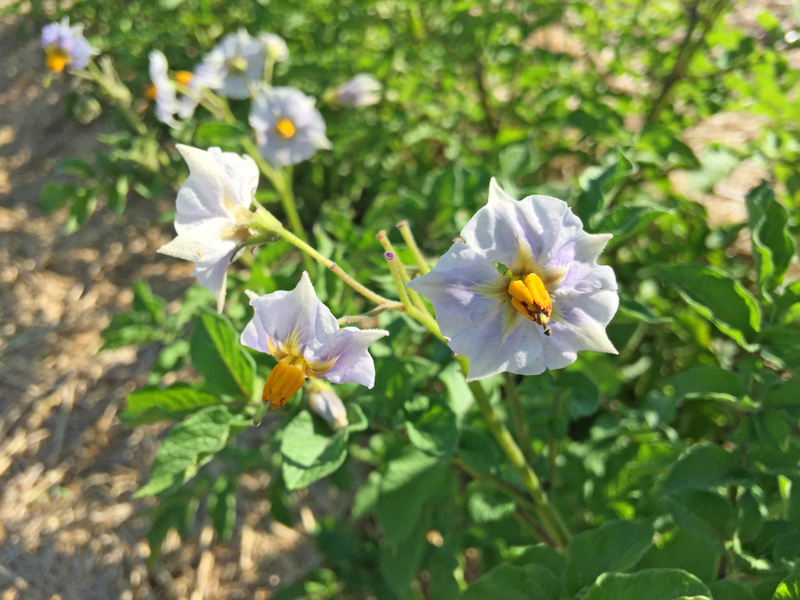 Closeup of purple majesty potato flowers. 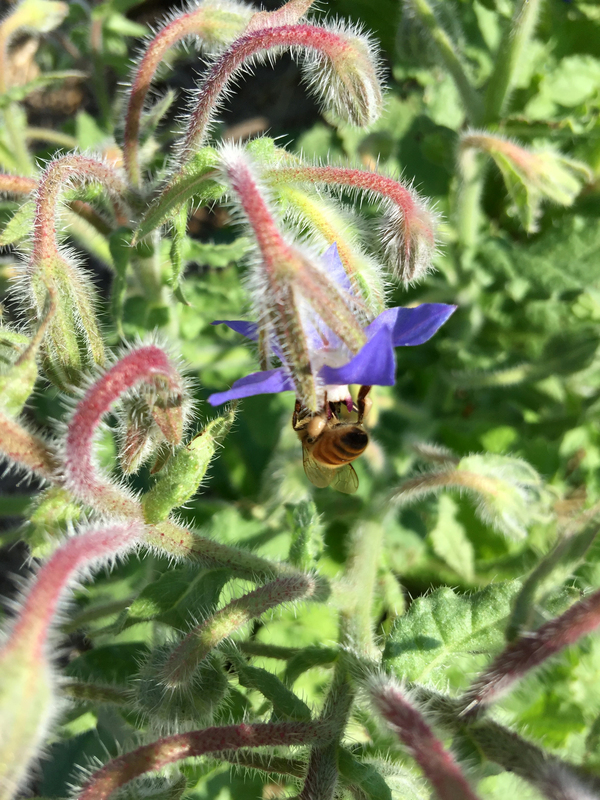 A bee on a borage flower.